Photographer and filmmaker to screen films, give public presentations in Bloomington April 9 and 10. James Balog didn’t believe in climate change 20 years ago. He didn’t think humans were capable of causing such great change to the environment, even though he spent the majority of his career photographing nature. But then he learned about ice cores and the story the ice was telling. His observations motivated him to capture visual evidence that would force people to witness this change. Balog has been a photographer for nearly 40 years, working for National Geographic, among many other publications, and has also made two documentaries on the subject of climate change. Balog will visit Bloomington on April 9 and 10 to speak with the public and Indiana University students, and to screen both films. 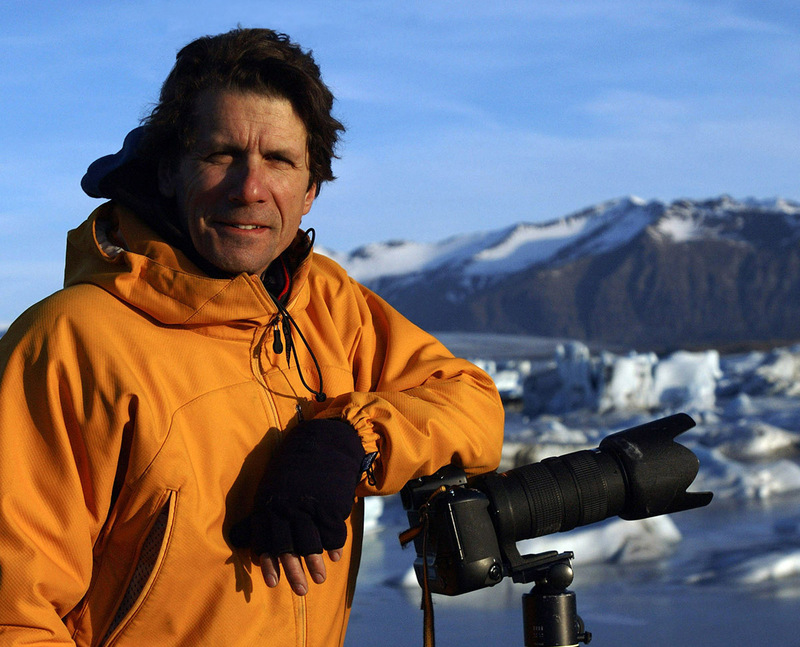 Photographer and filmmaker James Balog will screen his environmental documentaries at Indiana University April 9 and 10. Photo courtesy of the Earth Vision Institute. In 2007, Balog revisited an Icelandic glacier he’d photographed in previous years. He saw firsthand how much the glacier had retreated. This urgency motivated Balog to start a hugely ambitious project called the Extreme Ice Survey. “I have a smoldering frustration that sometimes blows over into anger, but a smoldering frustrating that some societies, particularly ours in the United States, are unduly slow to react to the information that’s around us,” he said. Balog and his team decided to photograph glaciers in Iceland, Greenland, Alaska and Montana, setting up cameras on a timer to take a picture every hour continuously, in order to visually record the melting of the glaciers in real time. His team had to invent technology that would survive harsh weather conditions and possible damage caused by wildlife. They also had to build platforms to hold the cameras in place, hiking to remote locations every six months to check the equipment and download photos. Setting up technologies in precarious situations was dangerous, and Balog even sustained injuries in the process. But he kept going because he believed in the importance of the project. The result after three years was a library of more than 1 million images showing in vivid detail the rapid melting of the world’s glaciers. The images capture the great power and fragility of ice. 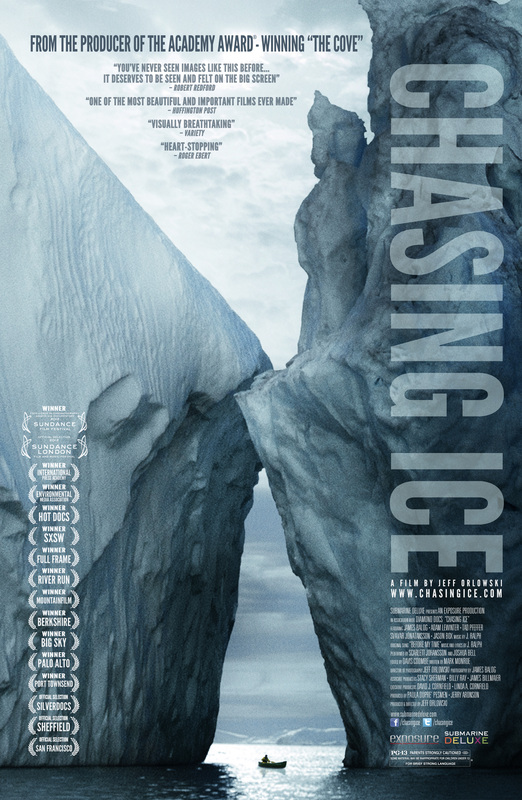 Balog turned the story of the Extreme Ice Survey into the Emmy-award-winning documentary “Chasing Ice.” The film captures the journey of the team mounting the project, their adventures, failures and eventual successes in a film that has been screened around the world and has had a direct effect on individuals. Near the end of the film, a man who once worked in the oil industry said after seeing an earlier version of the film, he decided to switch careers and now works in renewable energy. Balog's 2012 Emmy-award-winning documentary "Chasing Ice" captures his team's journey to chronicle the effect of climate change on the Arctic. The survey and “Chasing Ice” were among the first projects to use time-lapse photographs to show the public, including scientists, in vivid detail what was happening to the glaciers. In 2009, NASA invited Balog to speak at the United Nations Climate Change Conference in Copenhagen, Denmark, because of his work with glaciers. The subject of Balog’s second film, “The Human Element,” deals directly with the concept of how nature is speaking to the world. 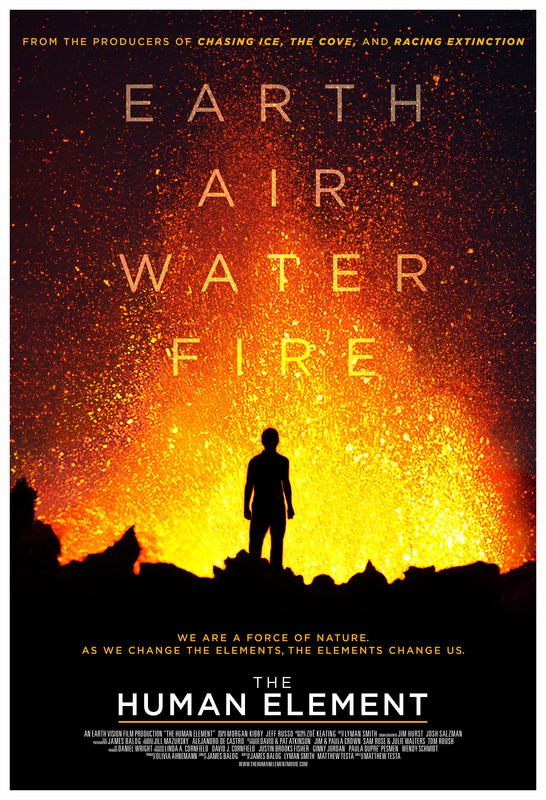 Balog has divided the film into the four elements, giving an overview of how climate change is affecting each one. Within each element, the film focuses intimately on how an individual or community is being affected because of climate change. Balog's 2018 documentary "The Human Element" tracks how climate change affects the lives of people every day. In each section, Balog illustrates the complicated relationship humans have with each element — how it is needed, how humans might have abused it and what the direct consequences of that abuse are. In Air, Balog visits a home in a highly industrialized lower-income neighborhood, where all three children and the mother have asthma. He then follows the kids to school, where he films a high rate of students having breathing treatments. An island in the Chesapeake Bay is featured in the Water section. Tangier Island will most likely be underwater in less than 50 years due to soil erosion and rising sea levels related to glacier melt. The island’s mayor says residents one storm away from disaster. In the Fire section, Balog follows strike team leader Tony Howard as he leads his fellow California firefighters in an effort to save a town from burning. Balog captures the danger the firefighters face, but also their determination to not let the fire win. Balog and his father return to the town in Pennsylvania where his father grew up and his grandfather died in a coal mine accident in the Earth section. In that same section, Balog visits Pikeville, Kentucky, where renewable energy are replacing reclaimed mines and former coal miners like Brody Dixon are finding new jobs in fields like barbering. What Balog would like people to understand with this film is that humans are a force of nature, and as humans change nature, nature will change them. “We think that nature exists over on some other plane in some universe separate from us,” he said. “We can just go along chain sawing, plowing, polluting and it doesn’t really matter. There may be some little changes here and there but it doesn’t really matter, it’s all going to be just fine. Balog will give a lecture and then show “The Human Element” beginning at 5:30 pm April 9 at Bloomington’s Buskirk-Chumley Theater. The next day at 5:30 p.m., he will screen “Chasing Ice” in Franklin Hall on the Indiana University campus before participating in a Q & A with IU Cinema director Jon Vickers. For more information, go to the News at IU site. Balog’s visit is sponsored by several campus entities and by the City of Bloomington.